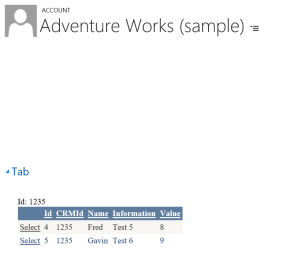 This blog shows how a linked web page can be embedded into a Microsoft CRM Form using an iFrame. Information from the page is passed to the underlying .aspx application via parameters embedded in the URL. The purpose of this example is to link to another system and extract and display related information in the form. It is assumed that the Id for the other system needs identified in the CRM and this has been added as a field called CRMId. Alternatively you could use the CRM GUID and create the relationship within the other system. 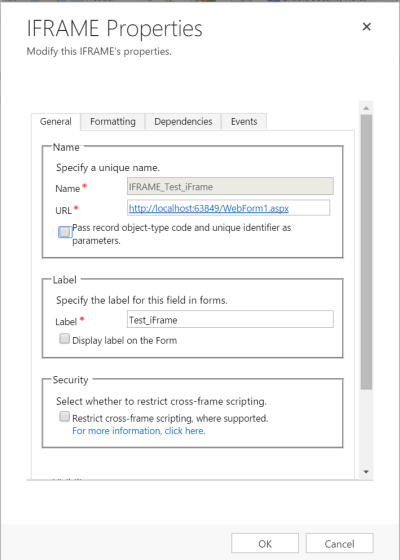 First create an iFrame in the form which has the URL of the .aspx page to which you want to link. Note that ‘Restrict cross-frame scripting’ is disabled. This is necessary to stop the scripting in the page being disabled. Then add a field which I have called CRM Id (xxx_crmid) as the Id for the related system. 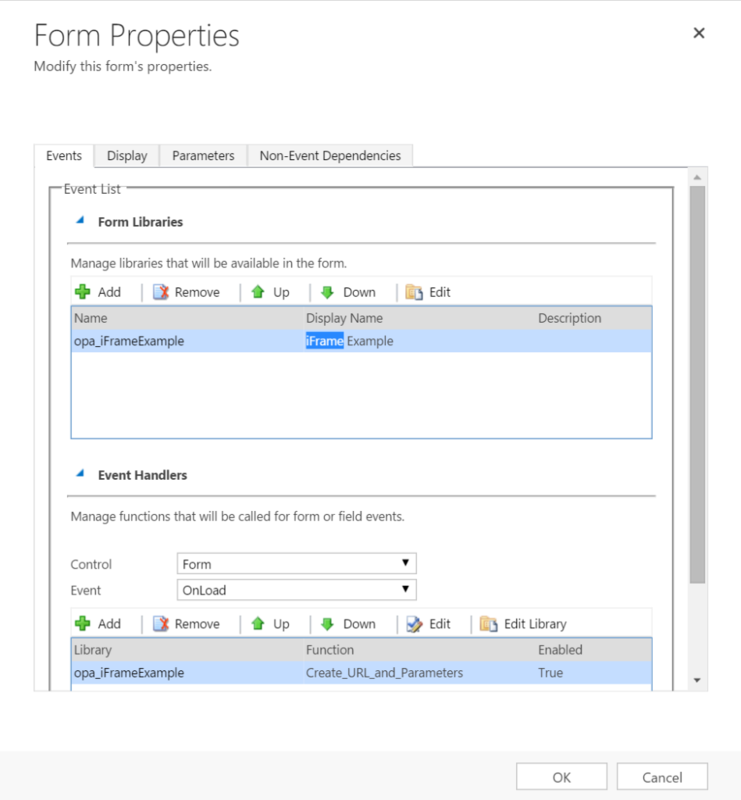 Click on form properties and add a new library and function as shown below. By setting the data source at the initialise stage the data source queries using the parameter that has been provided from the CRM page. You could do the same using the select query and parameter but that is troublesome to get working. 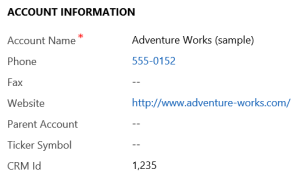 This results in only records with the CRM Id of 1234 are displayed in the web page. This effectively links the data between the two systems.